The abundance of snacks that contain much sugar, salt, and fat result in health issues among children. 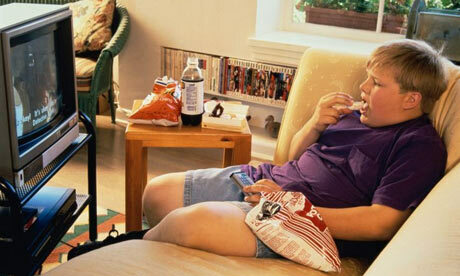 Today kids suffer from obesity, high blood pressure and diabetes. Many have raised concern about the kinds of snacks children consume regularly because these in-between-meals have become such an integral part of their diet. A good choice of snacks satisfies the appetite and provides the child with essential nutrients that lead to more desirable and healthy physical development. 1. Recognize the significance of snacks as a method of ensuring your children absorbs important nutrients in her diet. These bites in between meals can cut the appetite back. Moreover, these snacks may also put a stop to overeating. Kids have lesser capacity for food, and with the busyness of families today snacks may fill out any missed meals. However, most children don’t consume healthy snacks. As such, parents must see to it that the snacks their children consume prove healthy in order to ensure they regularly get the vitamins and minerals their bodies require. 2. The Food Pyramid serves as a good basis for recognizing what comprises a healthy snack. You can find many healthy choices from among the various categories of fruits, grains, low fat dairy products and vegetables. A good mix of snacks will cause high energy levels for children and at the same time prevent unfavorable weight gain. Nutritionists do not recommend high-sugar foods as regular snacks. Check food labels for fat, salt and sugar content when shopping for snacks. Aim to provide your child with a selection of healthy snacks to encourage him to eat them. 3. Various types of snacks prove good for your child’s health. Choosing whole wheat bread over plain white bread for your basic peanut butter sandwich marks a good switch, as is low fat yogurt over ice cream. Throw in a lot of fruits, nuts and vegetables in snacks you prepare. Low fat cereals, rice cakes and pretzels make good, healthy snack options. 4. Create a list of snacks to buy when shopping. Check the recommended serving size of snacks before you purchase them and understand the nutritional contents of foods you buy. A lot of snacks sold in supermarkets have trans fats that have bad cholesterol, especially in cookies and other baked goods. You should also look for partially hydrogenated vegetable oil listed as an ingredient and avoid products that contain this. The American Heart Association recommends consumption of trans fat at no more than 10% of all your daily food intake. 5. A key to reading food labels involves knowing that packaging lists ingredients according to the amount factored into the food item. Therefore, the ingredient topping the list serves as the main constituent. Aside from checking for food ingredients, you must also look at the vitamin and mineral content of packed foods before hitting the supermarket counter.